The case Moreton Resources Ltd and Innovation and Science Australia (Taxation)  AATA 3378 refers to a mining company that registered R&D activities for the years 2012, 2013 and 2014. 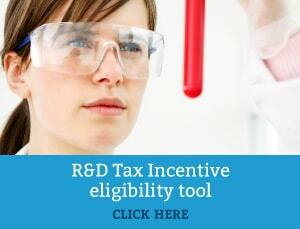 After an examination of the registrations, Innovation and Science Australia (ISA) determined that these activities were ineligible for the R&D Tax Incentive. The company had been subject to a number of adverse compliance reviews under the old R&D Concession, however they continued to claim. On 14 May 2015, the ISA advised Moreton Resources that it would begin an assessment of the 2012,2013 and 2014 R&D registrations under s 27A of the IRD Act. This was to take place under s 27F in order to make findings under s 27J. Following the examination, certificates were to be issued to the Commissioner of Taxation as to whether the registered activities could be considered research and development as defined by ITAA97. Core: Design, development and experimentation with UCG process within the pilot plant for the 2012, 2013 and 2014 years. Core: Development of the UCG process for the 2012 and 2013 years. Following the examination, an ISA delegate concluded that Moreton Resources had not sufficiently demonstrated that its registered activities were Core or Supporting activities. In accordance with s 27K(2) of the IRD Act, a certificate of the findings, reasons and effect of the finding was provided to Moreton Resources. In the Tribunal decision, the Deputy President accepted that the focus of the activities was on the purpose but not upon the outcome of the experimental activities. The pilot UCG project could be regarded as an “experimental activity” in the ordinary meaning of the term, as it was undertaken to determine whether it would produce syngas at an appropriate rate and quality to drive a gas turbine and produce electricity. However, the pilot UCG project was not deemed as to be undertaken for the purpose of generating new knowledge. It was not undertaken to develop UCG technology itself, nor any new form of pilot plant, device or process. No work was considered as directed to improving or altering existing UCG technology at the site. Additionally, the Deputy President stated that the Kingaroy Pilot UCG Project Front End Engineering Definition (FEED) document explained the known technology of the UCG process. It was decided that the requirements of the UCG process and variables were known and the risks such as rock shear causing casing shear were also known. The registered activity could be seen as experimental only to the extent that the outcome of the application of the technology at the specific Kingaroy site was unknown until the technology was implemented. Therefore, Moreton Resources’ work for the project as a whole was not considered an experimental activity because it was not required to solve a problem, develop a new product or improve a process. Any new knowledge generated consisted purely of testing existing technology at a particular site rather than enhancing the technology. It was concluded that none of the activities could be considered core R&D activities. The core R&D activities were not of the sort described in s 355-25(1)(a) or conducted for the purpose described in s 355-25(1)(b). The Deputy President affirmed the ISA’s decision that Moreton Resources’ registered activities were not R&D activities, as defined in s 355-20 of ITAA97. Activities claimed to be experiments were in respect of data collecting or monitoring using known technologies, rather than developing new knowledge or technologies. In regards to Moreton Resources’ supporting activities, these did not exist because none of the activities claimed as supporting could be directly related to a core activity, as there were no core activities. Click here to view or download the full case.